Valentines Day, like marmite, seems to be a 'love or hate' thing, irregardless of relationship status. Here in HQ, we're under the impression that any excuse to show some love, even more than usual, is worth celebrating. And whether that's self-love or love for another, chocolate is always a pretty good place to start. 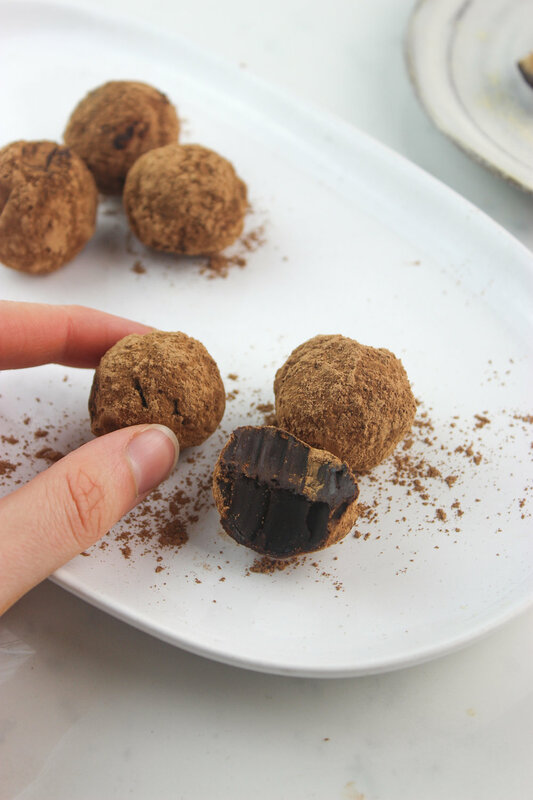 These chocolate truffles are a breeze to make, don't require any 'special' equipment and rather than adapting the usual valentines day approach of making everything pink, they're spiked with our fave adaptogenic superfoods - maca + ashwagandha, which research suggests have libido and fertility boosting properties - the perfect valentines day treat, right? 6. Roll in the leftover cacao powder before serving.